We all feel down from time to time. Some bouts of the blues last longer than others; I’m starting to think that’s the reason for cute puppy pictures in the first place. They give us a few moments’ respite from the grueling grind of everyday life. So cute puppies in particular are a guaranteed pick-me-up that you can seek for a midmorning boost or a late-afternoon smile. For night owls, the sight of Blue Heeler cute puppies at play can remind us that though the night is dark and full of terrors, the sun shall return to illuminate the darkness! Let’s have some Blue Heeler puppy pictures, then, and see some different ways to fend off the blues, no matter when they strike. Feeling blue? This tiny baby Blue Heeler suggests spending time with your parents. When was the last time you sat down for a chat with mom or dad? You could give one or both of them a call. No big deal, you could even just send an email or text about these adorable Blue Heeler puppies! Do you have any siblings that live nearby? You could go visit them and catch up, like these two tiny Blue Heeler puppies. Bad things may tend to come in threes, if conventional wisdom is to be given any credence. However, good things like Blue Heeler puppies can also happen upon you in groups. This trio of Blue Heeler puppies having fun in what looks like a quarry are testament to the comfort to be drawn from family time. Not that close with your family? That’s okay, because spending time with friends — or making new ones — is a great way to get through a case of the blues. 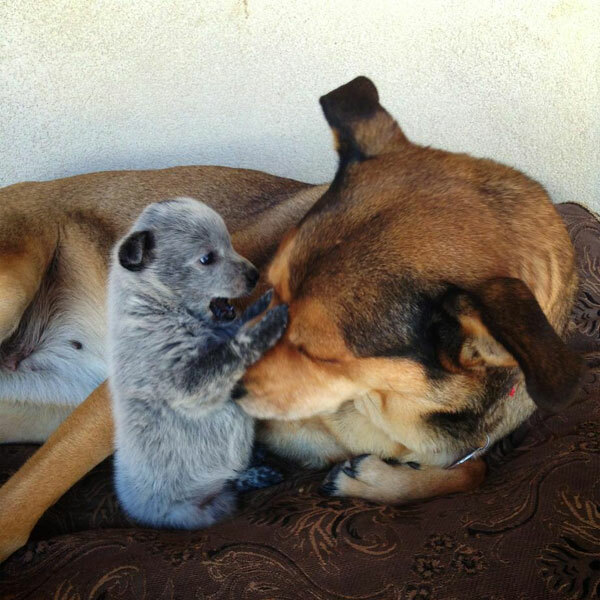 This Blue Heeler puppy’s name is Lumen. Lumen lives in Michigan and is trying hard to make new friends. Lumen tried to have a nice conversation with a passing chicken. Domestic fowl and Blue Heeler puppies might not have much in common, but Lumen enjoyed the experience. After a long day at work, some people might go out for dinner or drinks with their co-workers. Blue Heeler puppies are clearly no different. Herding sheep is arduous, difficult, and often thankless work. 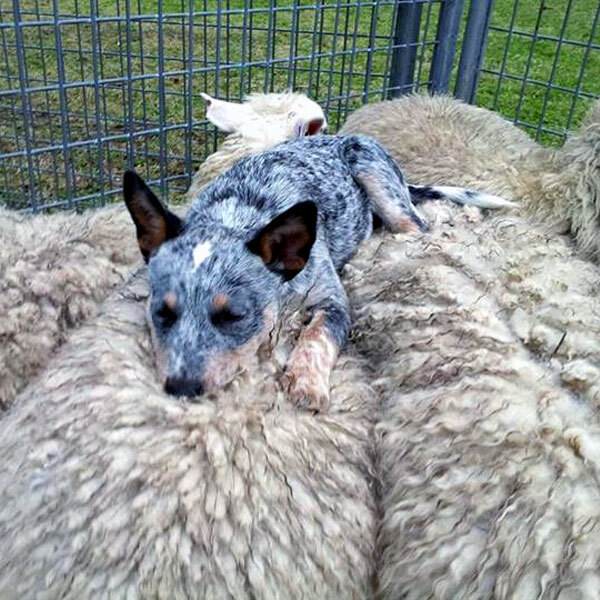 This Blue Heeler puppy gets on quite well with the flock of sheep he’s tasked with looking after; so much so, he seems to have fallen asleep on their backs! I don’t know if I’d recommend getting as close to the people in your office. I love being outside. I take my dog for a hike almost every day in the park near our home. Fresh air, no matter the weather, and physical exertion as we make our way through the forest always provides me moments of peace. 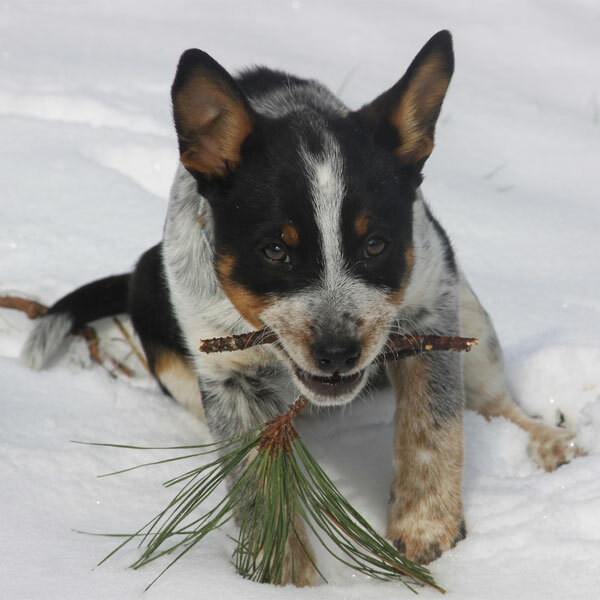 Blue Heeler puppies are active and energetic; if little Bluebelle here can’t find her favorite toy in the yard under all that snow, the nearest pine twig will do just as well. Being outside also provides opportunities for calm and peaceful reflection on the mutable nature of all things. Blue Heeler puppies are a part of that. No sooner are they born, white as the driven snow, than they begin to develop the ticking and color patches that we so enjoy contemplating. Soon, this tiny little precious baby Blue Heeler puppy will be a full-grown dog with a job, a mortgage, and cute puppies of his own. 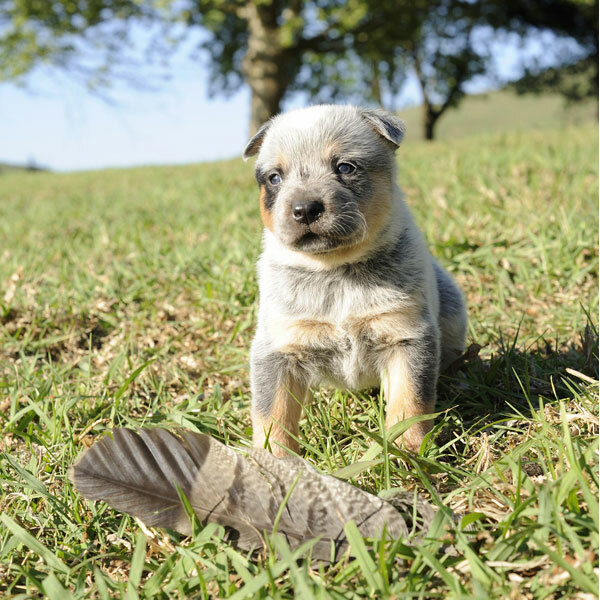 Well aware of the rapidity of our ever-changing lives, this Blue Heeler puppy is glad to take a moment to appreciate a bird’s feather in the field. If Blue Heeler puppies can do anything particularly well, it’s play. Cavorting and getting into mischief is a chief occupation and pastime with Blue Heeler puppies. 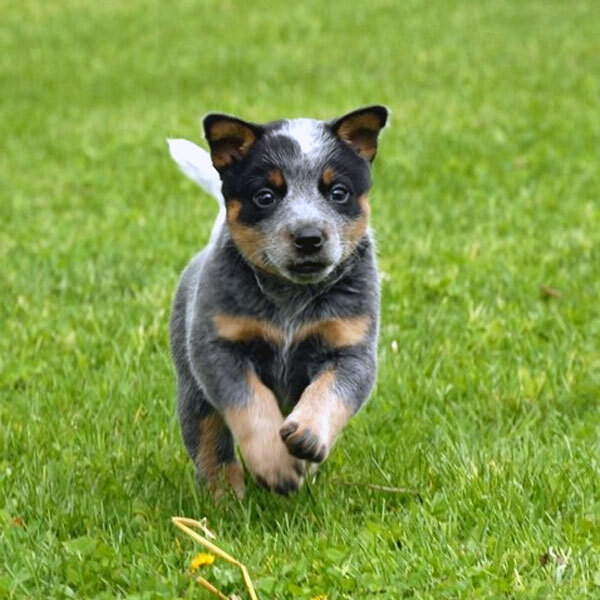 In the backyard, at the dog park, or even in the house, Blue Heeler puppies love to dash about and have a good time. 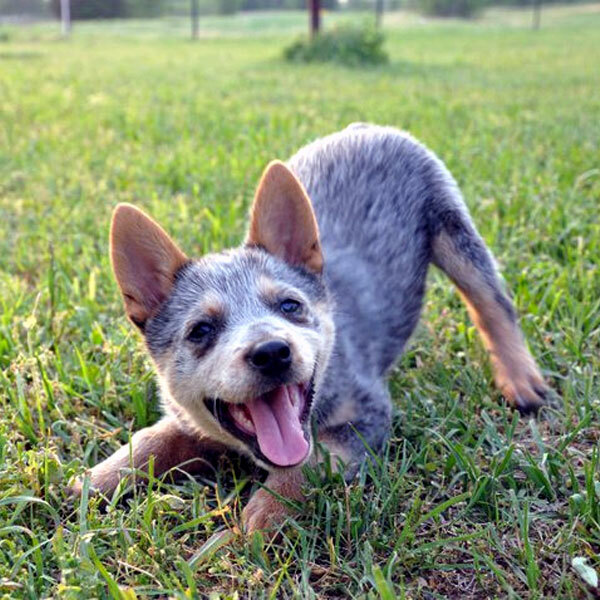 Take a page from the Blue Heeler puppies manual and do something silly and fun. How about skee-ball at the local arcade? When was the last time you did that? Blue Heeler puppies are always up for fun. Look at this spirited and enthusiastic little Blue Heeler puppy! Poised and ready to pounce at the next encouraging word. Would that we could always be as joyful and excited about things as Blue Heeler puppies. Going through these pictures has lifted my spirits! Which of these Blue Heelers is your favorite so far? How about a night on the town? Break out of your routine! Get dressed up and go see your favorite band when it comes to town. That always cheers me right up! Blue Heeler puppies look amazingly sharp when they get decked out. 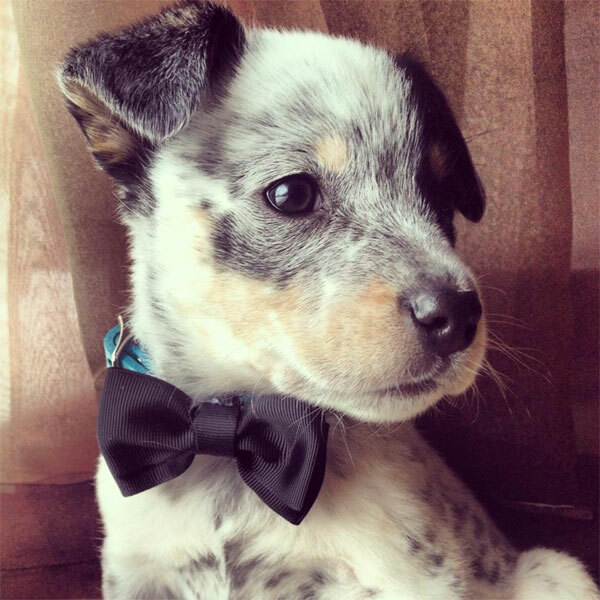 Check out the bow tie on this dapper gent! How about a new restaurant? It would be even better if you went to a dog-friendly place and ran into someone with a Blue Heeler puppy in tow. 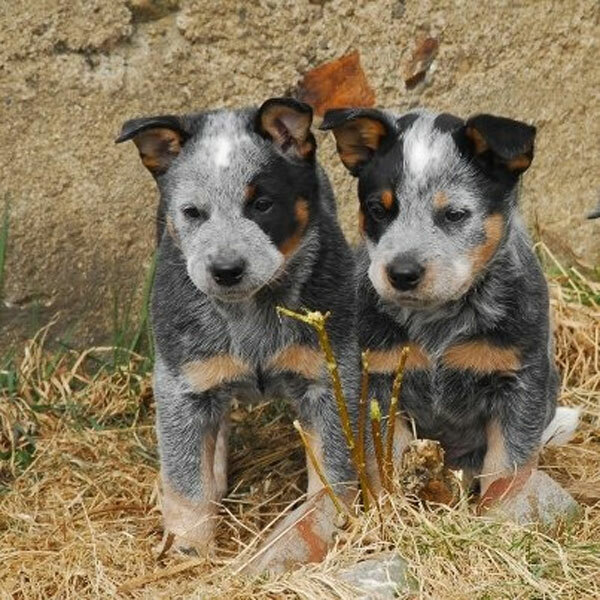 Do you love these Blue Heeler cute puppies? I’m a huge fan of all Australian Cattle Dog varities and variants. 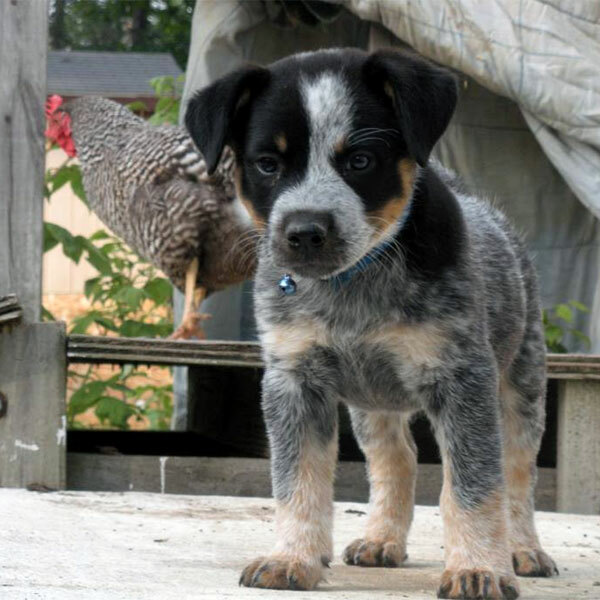 Have you owned, or do you currently live with a Blue Heeler? How about a Red Heeler? 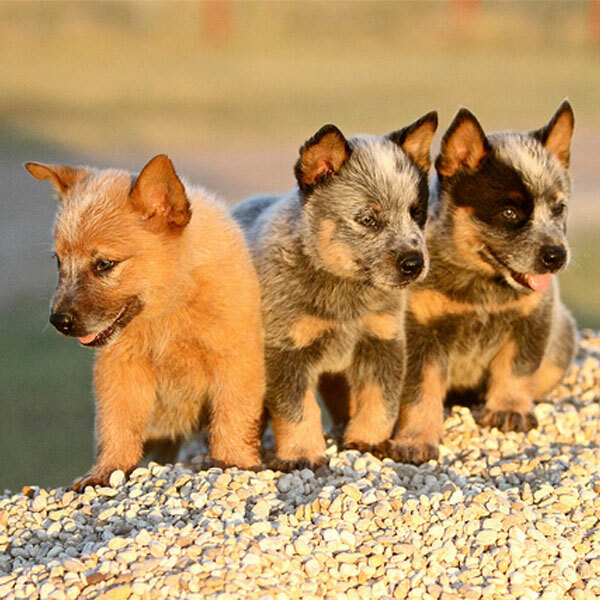 Share your experiences and memories of Blue Heeler puppies and dogs in the comments!